The LaPrairie County Mutual Fire Insurance Company was formed in 1874 in LaPrairie, Saratoga, and Steuben Townships of Marshall County in Illinois. It was organized by farmers of these townships who were having trouble buying fire insurance. 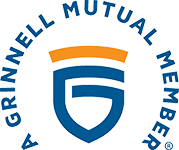 The LaPrairie Mutual Insurance Company original directors were: Amos F. Leigh, William Atwood, Amasa Garret, James Smith, Henry Marshall, George Scholes, Richard Davidson, Robert Turnbull, and Jesse W. Hurd. In 1987, with the creation of the new Farm Mutual Act, the name was changed to LaPrairie Mutual Insurance Company. The Mutual has grown from the original three townships to 66 counties during the Company's 135+ year history. The Company office is located at 401 Edward Street in Henry, Illinois. In 2015, LaPrairie Mutual Insurance Company and Delavan Mutual merged and now provide insurance products to over 3,000 customers in 80 Illinois counties through 24 independent agencies. The business continues to operate under LaPrairie Mutual Insurance Company. ©2018 LaPrairie Mutual Insurance Co.